As we have seen, the site at Tromsø run by the EISCAT Scientific Association has several instruments. The most significant of these to KAIRA is the VHF transmitter, because its frequency (224 MHz) is within the high-band of the KAIRA system. 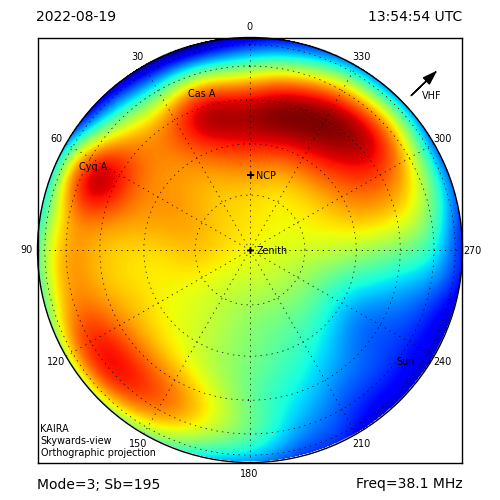 This frequency is also very close to the proposed frequency of the EISCAT_3D project. The Tromsø VHF system is a scientific radar. 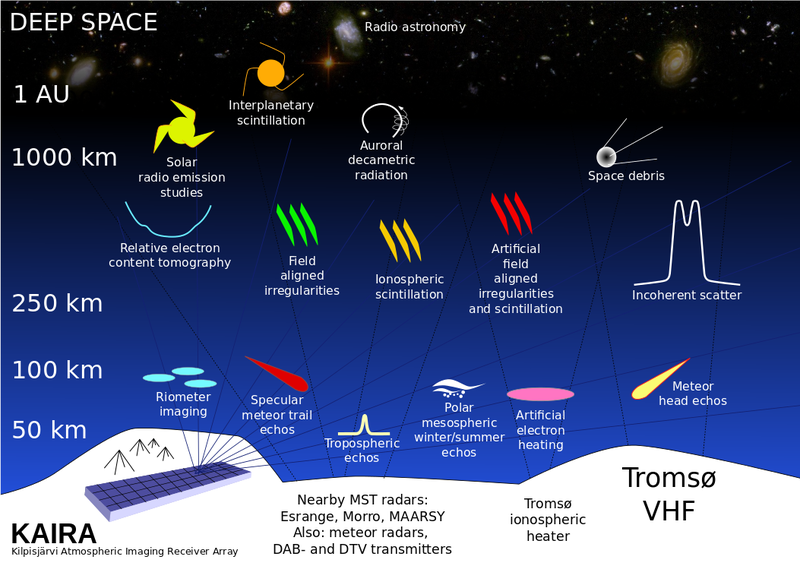 Using the incoherent scatter principle, it transmits radio power into the upper atmosphere and detects the faint radio echoes. From these, it can readily determine the electron density, ratio of the electron temperature to ion temperature, ratio of the ion temperature to ion mass, and the line-of-sight ion velocity. 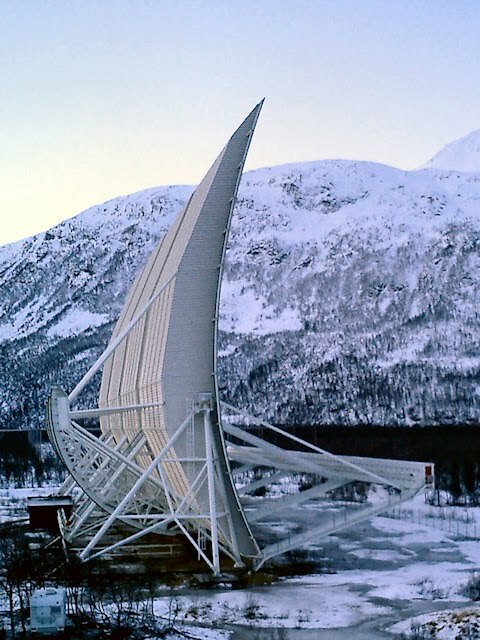 The Tromsø VHF antenna is huge: 120×40 metres in size. It comprises 4 panels, each 30×40 metres, which can be steered in elevation independently of each other. The system cannot turn in azimuth, but it is possible to reconfigure the phase of the transmitter array to provide a small amount of horizontal directional control. The transmission power is provided by a klystron. The transmission frequency is 224 MHz (well inside the range of a LOFAR HBA antenna) and the peak transmission power is 1.6 MW. The feed system is a line of 128 crossed dipoles at the focal line of the parabolic-cylindrical antenna panels. This line can be seen to the right of the panels in the first photograph. To get an idea of the scale, that line is actually a corridor and engineers can walk along the inside of it. 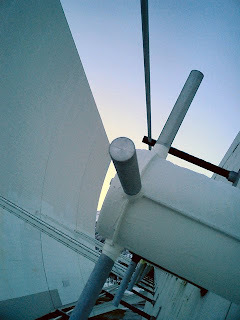 The second photograph shows a close-up of one of the individual crossed dipoles.